I had a very fortunate opportunity to spend three days in the Indian Peaks Wilderness in Colorado. It was brilliant, gorgeous, and invigorating. The best parts? Getting to introduce the basics of backpacking to ladies completely new to it, and learning about their motivations and barriers to entry. 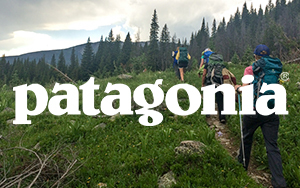 For many, their backpacking curiosity is piqued because they already love hiking and camping. Backpacking is the natural combination of those two activities. Yet the barrier to entry can still feel quite high. Most people tell me they don't know where to go and what gear to take. I also don't think most people realize how much planning goes into it. Planning definitely gets easier as you have more experience (like most things in life), but it's certainly a lot of work to get started. Here's our itinerary for our three day trip. I highly recommend this backpacking trip. It gets the YESYESYES! stamp of approval. Snow: We were expecting snow for the last two miles up to Crater Lake and thought we were going to have to posthole our way. Fortunately, the snow had mostly melted off and it was only muddy for the last mile or so. I ended up taking all of my usuals + extra water treatment, bear hang gear and tarp since we were a larger group, a robust first aid kit including a SAM splint, and extra pair of socks (in case my feet got wet from snow). Oh, and I took my big ole zoom lens. It definitely adds a few pounds, but it was great to be able to get shots I wouldn't have been able to otherwise. I took a few more things than I would on a solo trip since we were a group of seven. Some new things I've added to my overall pack weight include: more robust first aid kit, survival kit, and 911 food. My pack was heavier than normal, but overall it was still quite manageable. We had two cars with ladies from various parts of Denver, so we touched base at the Dino Lots (just outside of Denver) and then caravaned to Granby for a short restroom stop. We drove to the Monarch Lake trailhead, got our belongings together and started the walk. And by "we," I mean this lovely bunch of ladies. We hiked about 4.5 miles to the Lower Cascade Falls and set up shop near the top of the falls. It was perfect. Close to a water source, pre-made fire pits and white noise lulling us to sleep after everyone's first trek carrying all that gear on their backs. Amy's pack gave her a pretty hard time, but she was still a trooper. (She said she was going to return the damn thing after the trip!) That's the benefit of renting gear...you get to try it out and see what you like and don't like about a backpack without the commitment. Our campsite was next to the Lower Cascade Falls. What a breath of fresh air - literally! And, we got to fall asleep to the sound of this roaring waterfall. It was glorious! Airing out my socks using little nubs on the tree. Everyone collected wood and I taught them how to make a proper fire. Rachael (the one in that cute beanie) did an awesome job of stoking the fire and keeping it ablaze. We sat here to have dinner and relax after day one. See more photos from DAY 2 & DAY 3. Tagged: #100daysofwildnerness, #100daysproject, Colorado, Monarch Lake, 3-day trip, Indian Peaks Wilderness, first time backpacking, first time experiences, Cascade Falls, Cascade Trail #1, women only, equation, YesYesYes! 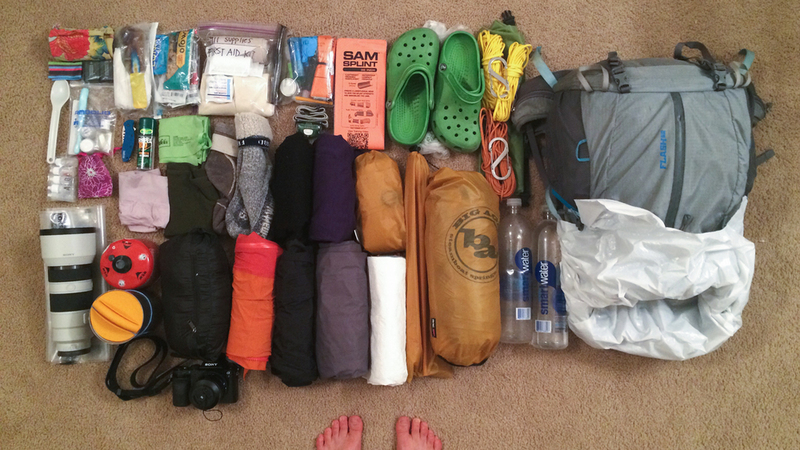 Older PostFirsts / Lisa's first backpacking trip as an adult!